For waste water or other dirty samples application a self-cleaning filtration unit can be installed close to the analyzer. Thanks to the integrated PLC, the filtration unit runs periodically a self cleaning cycle, using compressed air generated externally or even internally (as option). 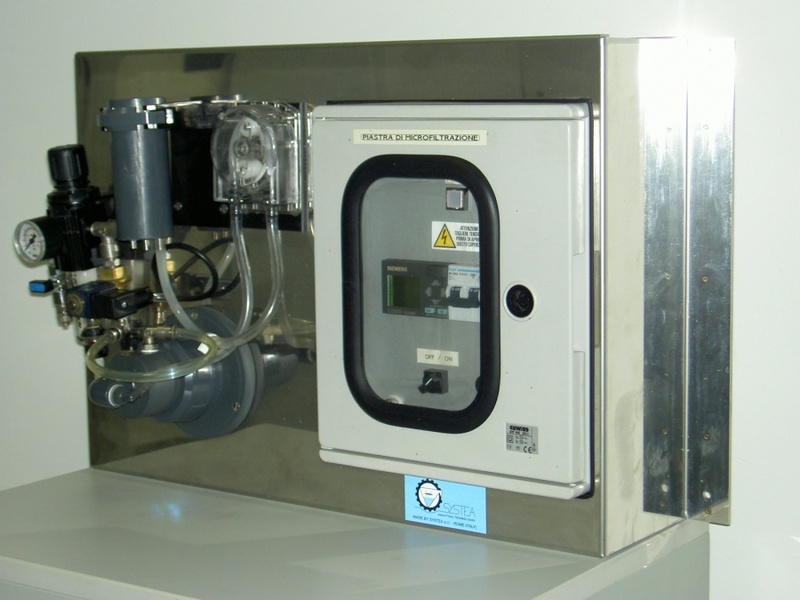 One filtration unit can be used to supply a clean water sample up to 10 analyzers. The filtration unit is delivered completely assembled on a stainless steel and PVC frame, ready for connection to a sample line. It is sufficient to connect the main sample line, the waste line and the analyzer’s filtered sample line. Self cleaning cycle and long life pump tube ensures low maintenance cost. 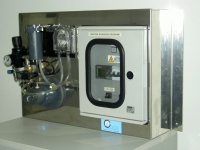 Analyzer controlled: Micromac activates the filtration unit only when the analytical cycle starts. Stainless steel filter ensures long operation and no corrosion with the most common matrix.